Democrats have warned that Whitaker, a Trump loyalist and vocal critic of the probe, may fire Mueller, but he has many other ways to hamper, or even freeze, the investigation. Many of these steps may be largely invisible to the public and even lawmakers. Trump installed Whitaker Wednesday as the nation’s interim top law enforcement officer after ousting Jeff Sessions. Although Whitaker has been publicly critical of Mueller in the past, and even suggested ways to curtail the investigation, he has no plans to recuse himself from being in charge of Mueller, according to a person familiar with the matter. Mueller didn’t take any major public actions in the weeks before Tuesday’s congressional elections, but he’s prepared to take significant steps in its aftermath, according to three U.S. officials familiar with the matter. Those actions could involve seeking new indictments from a grand jury or a subpoena forcing Trump to sit for an interview. But now, Mueller will need to get Whitaker’s sign-off for those and other major steps -- which he could withhold. Whitaker also could take more subtle approaches to slowing Mueller’s work. One possible tactic would be continually telling prosecutors that their requests require more work or evidence before moving to the next stage, said Jeffrey Cramer, a former federal prosecutor. There are some things Whitaker couldn’t limit, including actions already approved by grand juries that Mueller has been working with. Also, some of the leads developed by Mueller already have been turned over to other Justice Department units, including the U.S. attorney in Manhattan. Up until Wednesday, Mueller’s probe into Russian interference in the 2016 presidential campaign had been overseen by Deputy Attorney General Rod Rosenstein, who appointed Mueller days after Trump fired former FBI director James Comey. During that time, Mueller secured indictments or guilty pleas from more than 30 people, including Trump’s former campaign manager Paul Manafort and his former national security adviser, Michael Flynn -- all steps that were taken with Rosenstein’s approval. Ironically, Mueller spelled out his supervisor’s power to shape and limit his probe in a legal brief filed Thursday in response to a lawsuit challenging his appointment. “The attorney general receives a regular flow of information about the special counsel’s actions; he can demand an explanation for any of them; and he has power to intervene when he deems it appropriate to prevent a deviation from established Departmental practices,” Mueller wrote. Mueller’s team includes veteran Justice Department officials Michael Dreeben, an appellate attorney on detail from the Office of the Solicitor General, and Andrew Weissmann, an attorney from the Criminal Division’s Fraud Section. Whitaker, a former U.S. attorney who worked most recently as Sessions’s chief of staff, has publicly criticized Mueller’s investigation as too broad. It includes whether those around Trump colluded in the Russian interference and whether the president sought to obstruct justice. “It is time for Rosenstein, who is the acting attorney general for the purposes of this investigation, to order Mueller to limit the scope of his investigation to the four corners of the order appointing him special counsel,” Whitaker wrote in a CNN opinion piece in August 2017. Mueller is writing a report about his investigative findings, according to one official. Under Justice Department rules, Whitaker is the only official who will be given the report. He then has the discretion to share it with Congress, make portions of it public or keep it secret, Cramer said. But Tuesday’s victory by Democrats in capturing the House has consequences here. When Democrats take over in January, they could subpoena documents from the Justice Department and Mueller’s probe, as well as call Mueller and other witnesses to testify publicly. 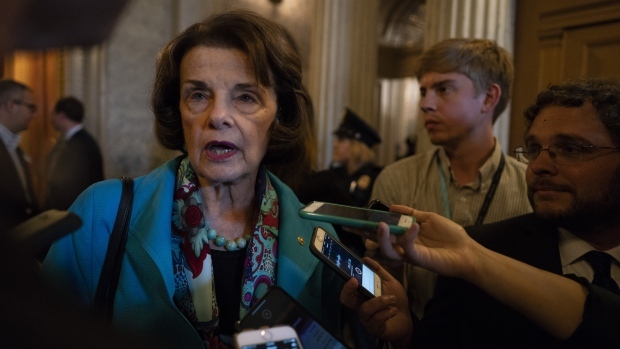 The call to preserve documents was joined by top Democrats on other key panels, including Senator Dianne Feinstein of the Judiciary Committee, Representative Adam Schiff of the House Intelligence Committee and Representative Elijah Cummings of the House Oversight Committee, in letters to administration officials, including Whitaker. Whitaker could also keep the president closely informed about the probe. Briefing the president on sensitive investigative details in an ongoing investigation would be highly unusual and could be a risky move for Whitaker, as revealing grand jury proceedings can be illegal. But Trump has long sought greater visibility into the probe. When Comey ran the FBI, Trump asked him whether he was a target in the Russia meddling investigation. Mueller’s budget for fiscal 2019 has already been approved by the Justice Department, but Whitaker could restrict Mueller from spending funds needed for investigative activities, such as travel. The probe cost more than $16 million during its first year, according to figures released by the Justice Department in May. According to the department’s most recent report, $10 million was spent from Oct. 1, 2017, through March 31. Mueller’s direct spending during that period was about $4.5 million. The rest reflects spending by Justice Department components in support of his investigation. The department said the components would have incurred those expenses even if the special counsel didn’t exist -- an indication of how embedded investigative activities are within the department. Mueller’s team is paid for under a permanent fund for investigations by independent counsels that was established in 1998, which means it’s not subject to Congress’s routine spending debates. Mueller’s budget isn’t affected by a current stopgap spending measure that expires on Dec. 9. However, some lawmakers might use upcoming debates over government spending to advance legislation to protect Mueller’s investigation. --With assistance from Christian Berthelsen and Erik Wasson.